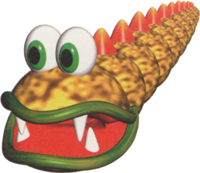 Centipedes are giant yellow monsters that pace back and forth atop the mountains in the Level 3-4: Frustration in Yoshi's Story. 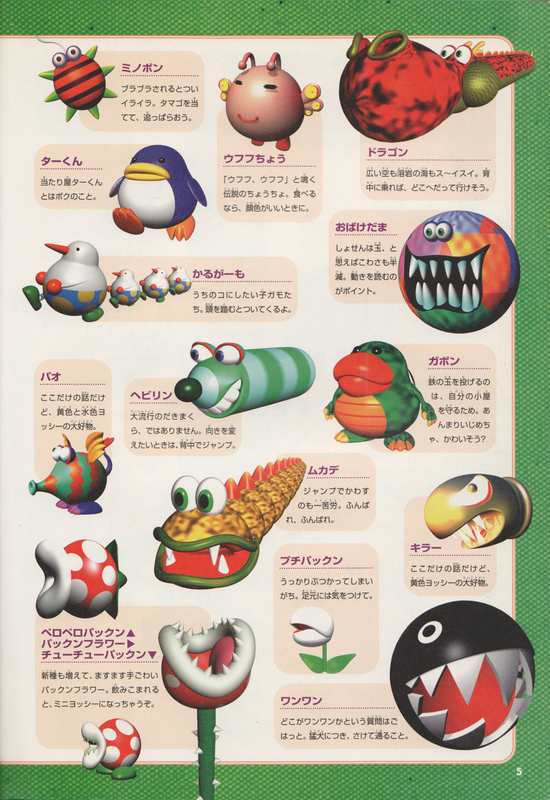 They have sixteen segments (counting the head) with a pink spike on every segment except the head. They are invincible, and sometimes take a new path when there is a fork in the road. This page was last edited on April 11, 2019, at 14:28.